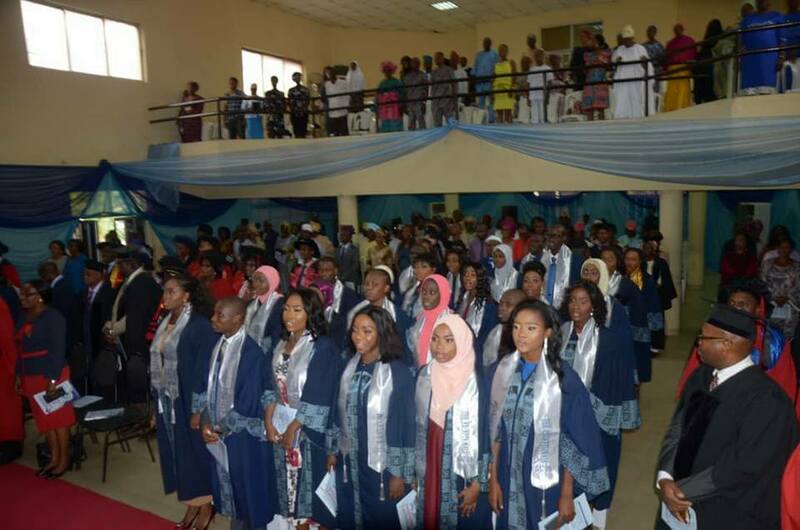 Lagos State University College of Medicine, LASUCOM Inducts 13th Set of Medical Doctors itno the Medical Profession. The Lagos State University has increased the number of Medical Doctors in Lagos and by extension in Nigeria when it inducted the 13th set of Medical Doctors into the Medical Profession. The Doctors numbering 30 were inducted on Monday, 20th August, 2018, at the MRC Auditorium, Ĺagos State University College of Medicine (LASUCOM) Ikeja, Lagos. In his address, the Vice Chancellor, Lagos State University, Prof. 'Lanre Fagbohun called on the inductees to be committed to duties. According to him "...the Hippocratic Oath is your public commitment to assumption of professional responsibilities". He admonished the doctors to keep away from from gratification and vices that may bring great discredit to the Medical Profession and pleaded with them to continue to be great ambassadors of the University. Earlier in her address of welcome, the Acting Provost, Prof Antonia Ogbera called on the Inductees to stay in the Medical line and not trade places with other profession. She stressed that the new doctors should strive for excellence and professionalism in discharging their duties. She thanked the State Government and the University for the support given to the College. In his remarks, the Registrar, Medical and Dental Council of Nigeria MDCN, Dr. TBA Sanusi said the Induction Ceremony is a call to service. He admonished the new doctors to live above board. He noted that the MDCN is not out to witch hunt but rather to set standards. "Our red book outlined the minimum guidelines for Medical and Dental Education in Nigeria", he said. The Medical Elder of the occasion, Prof O. O. Odusanya called on the doctors to continue to update themselves. "You have just learnt the alphabet of Medical Profession, you are about to start forming your own words, concluding your sentences and forming your own speech", he stated.